PHILIPSBURG-Environment Minister Miklos Giterson and Health Minister Emil Lee met recently with Environmental Engineering and Consulting (EE&G) technicians to better understand the air quality emanating from the dump in Philipsburg. EE&G is the environmental engineering firm hired by the World Bank to assist as technical advisor for the Emergency Debris Management Project, which is being considered for financing under the St. Maarten Trust Fund, led by the Interim Recovery Committee, the Ministry of Public Housing, Environment, Spatial Development and Infrastructure VROMI and the Ministry of Health, Labour and Social Affairs VSA. The project would focus on managing the debris in the country and reducing the associated environmental, health and social risks. The work conducted over the past week has focused on collecting samples of emissions in various locations on the waste disposal site and temporary debris storage area in locations where there are active smoke emissions from internal smoldering of buried waste, it was stated in a press release issued by Lee’s office on Thursday. To prepare the terms of reference for the selection of a contractor to extinguish the fires, understanding the potential worker exposure risks in the active fire areas is needed so that potential bidders are aware of the level of worker protection and air monitoring that will be required during that phase of the project. Providing for the safety of workers and the offsite downwind community will be part of the bidding terms of reference. 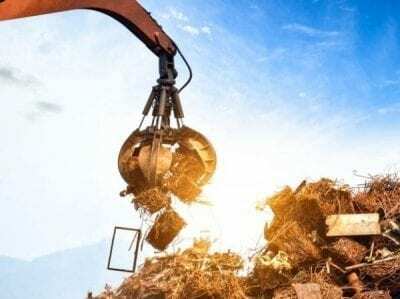 Additionally, the composition of the emissions from the subsurface smoldering of waste at both landfill sites can provide a baseline for the contractors to manage the extinguishment process. “During the extinguishing process, which may require that some of these hot spots be excavated and exposed to extinguish the fire, appropriate best management techniques will be utilized by the contractor to minimize the emissions during fire suppression activities,” the release said. Giterson said, “As I mentioned when first coming into office, this waste disposal site is a giant monster which needs to be dealt with and has given me sleepless nights. Lee said, “The explanations from the World Bank, VROMI and EE&G have been very informative. Everyone in St. Maarten agrees that getting these sites under control is a national priority. As Minister of Health, I am happy that the process of managing the frequent fires is underway.” Click here to read the original article.